Great value on many different types of wines from around the world and a consumer-favorite wine club. 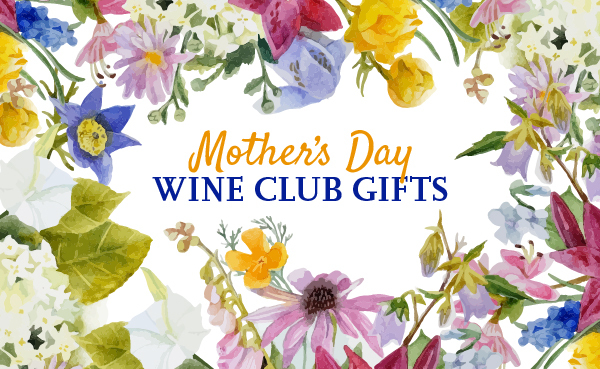 They have one of the best line-ups of introductory offers for wine clubs we've seen. A more customized selection geared toward the Zagat Guide's specific audience. We can't find a link to Zagat Wine Club. Please have a look around our site to see if you can find something else you'd like. ZagatWine is run by a successful wine club provider in the UK that's been providing wines to a HUGE membership for many years. They source wines from around the world, and then share their great finds with their club members and their client's club members. Something that really sets ZagatWine's wine club apart from the some of the other clubs is their Introductory Offer program. They always discount your first shipment 50%, and they usually offer some additional value. It's fairly obvious that this is a way to entice you to sign up and try their wines, but nonetheless, this does add extra value to the money you spend with them. Another thing that sets ZagatWine apart from other wine clubs is their unprecedented buying power. You won't find any boutique, small-production, or even medium-production wines in these shipments. You will find many wines not offered by anyone else because ZagatWine has bought up the entire production allotment. You will also find some wines that are available elsewhere, but not at these prices. After the introductory shipment, you’ll receive a case (12 bottles) of wine every quarter for $139.99 and $19.99 shipping until you cancel. It might be because of the East Coast influence, but we've noticed that ZagatWine's wine selections lean toward old-world, a.k.a. European, wines. It seems like the cases are usually 3/4 European and 1/4 the rest of the world. A guaranteed crowd pleaser from the renowned Giuseppe Secchi and Pinot Grigio’s spiritual home, the cool vineyards of northern Italy. Look forward to delicate citrus and nutty almond notes. Sip as a chic aperitivo. The latest release of Steve McEwen’s pride-and-joy Malbec Reserve won a prestigious gold medal at a major international show and is “powerful, rich and ageworthy.” Enjoy with a meaty steak. Taste everything that’s great about Marlborough Sauvignon — thrilling aromatics, classic lime-and-gooseberry flavors, and zingy minerality. Made by Phil Rose (one of only 3 to receive a Lifetime Achievement Award from New Zealand). Three-time Vinitaly Winemaker of the Year Angelo Maci coaxes every drop of deep plum, mocha and spice from Puglia's sun-drenched ancient vines. This luxurious step-up to his top Primitivo is a real treat (and impressed judges at the IWC in 2013). Perfectly ripened grapes were hand-harvested from very special vineyards in the heart of Napa Valley. Like all good Napa Chardonnay, this silver medalist is beautifully balanced with layers of elegant apple, citrus and vanilla cream. Don't miss this gold-medal follow-up to the acclaimed 2010. Ludovic Roussillon's small-estate gem goes from strength to strength each vintage — his sumptuous 2011 is particularly aromatic and packed with ripe flavors of plum, cassis and spice. Gran Reserva is the big daddy of Spanish reds, only made in exceptional vintages. This medal-winning stunner comes from Bodegas Ruberte and their gnarled, old Garnacha and Cab vines. Big on dark fruit flavor, long on oak. At their small estate in southern Tuscany, the Barbanera family crafts a richer style of Chianti that bursts with chocolaty cherries and pairs well with meaty pastas and hearty osso bucco. A fantastic, crowd-pleasing value. Past President of the California Cab Society Bill Knuttel represents all that's great about small-batch winemaking. Packed with rich currant, this opulent 2012 (a glorious Golden State vintage) is too good to miss. Sip with beef. Torrontes is Argentina's refreshing white star – just wait until you try master winemaker Hervé Fabre's version. He marries this famous grape with creamy Chardonnay, so you can expect super fresh, crisp tropical flavors with a delicate vanilla kiss. From top Châteauneuf talent Thierry Ferlay, the new vintage of this customer favorite was released to BIG acclaim: prestigious gold medals from top guide Gilbert & Gaillard and Le Concours des Feminalise. Enjoy ripe blackberry, with a wild herb edge. Chile's cool-climate Leyda Valley is a top spot for Pinot. And this lively Reserva from one of the country's oldest estates is a must-try for Pinot lovers. Aged in fine French oak, it boasts fresh black and red fruit flavors with subtle floral notes. The Australians invented Shiraz/Cabs. But Sam Trimboli’s ‘Black Label’ (known in Aussie wine circles as really top-notch stuff) takes it to a sumptuous new level. This rare Reserva is proof that Chile's vine-growing paradise is a hot spot for premium whites. Showcasing Chardonnay, Sauvignon Blanc and Viognier, this find from acclaimed estate Luis Felipe Edwards is a must try. From Ruth Chavarri (the talent behind many of our favorite Rioja reds) comes this zippy, citrus-infused Albariño from Spain's premium Rias Baixas. Intensely crisp and aromatic, this is a perfect seafood white. Inspired by the celebrated dry style you get in Alsace, this crisp-yet-perfumed, food-friendly Riesling shows why Oregon is a region to watch. The perfect drop for everything from aged cheeses to spicy Asian food. For many, Gavi is Italy's finest white. Yours was crafted by Claudio Manera from Cortese grapes grown in a very special vineyard (it's shaped like the bell of a trumpet, hence the name 'La Trombetta'). Classic notes of mineral, green apple and lemon. Reap the rewards of a hush-hush deal on this rich, French-barrel-aged Chardonnay from premium Margaret River's most famous estate — impeccable quality, finesse and balance. Ripe tropical fruit flavors with hints of nuttiness and creamy brioche. An exciting new discovery from Argentina's innovative Zuccardi family. A tribute to both their Italian heritage and Argentine roots, this harmonious find marries Torrontés with Pinot Grigio, the two great whites of their homelands. Do NOT join Zagat Wine. Customer Service is not just horrible, It's inexistent. They say in the website you can send emails, but I've send them 5 emails so far and all of them bounced back to my Spam box as invalid recipient. Then I try calling by phone and the waiting list is so long that I couldn't really wait any longer for someone to talk to me. They sent me a case a while ago without my approval and I had to send It back and cancel It in the credit card. Im trying to cancel my membership Its been over a month and with no success. Don't fall in their trap, don't give them your credit/debit card information. I unfortunately also had a bad experience with Zagat Wine Club. For a company that provides ratings, they are not very good at customer service. I signed up with Zagat's quarterly wine club promotion over the Holidays. That consisted of one case of wine each quarter for one year. I wanted to send the first case (one case) as a holiday gift to a client and then have subsequent quarterly wine shipments sent to my home. I was informed that this was common and very easy to do. After the first holiday shipment I called to Zagat to change the shipping address as instructed. I called well in advance of the second shipment date to change the shipping to my home. They assured me that this was done. Well long story short it wasn't. My client ended up getting three cases of wine and he was very happy! I on the other hand was very frustrated and after many calls and repeated attempts to change the shipments to my home. As others here have stated here if you need an address change or have any other request, Zagat will foul it up and then will not be held accountable. I finally was able to cancel my order after the third shipment. Each time I called to change my address and/or request a refund or replacement I was informed the only recourse I had was to call my client and have them return the wine Zagat or have them ship it to me. Cancelling is very difficult. I was also informed by the Zagat representative that will not send email (written) confirmation for any changes or cancellations. You really are at their mercy....As others have stated..Buy BEWARE! Buyers beware. Tried them once thought that they would notify you before they send the wine every quarter. However once a notification is sent, I called them to cancel but was told that. Things are already in process and you aren't able to stop the shipment. Was told to refuse the shipment and that I would not be charged. Sure enough the shipment showed up and I refused. FedEx told us that many customer was told the same thing -to refuse shipment. Unfortunately they still charged my credit card and now their customer service is unreachable. Disputing the credit card charges right now. Bottom line - once they have your credit card number you are at their mercy. Beware! We were happy members of Zagat's Wine Club for several years, but once we had a problem, they were COMPLETELY UNRESPONSIVE. So we have quit and urge others to be cautious. They don't tell you in advance when they will be shipping wine. We live in Virginia where the weather is often HOT. Suddenly we found that their wine was going to be delivered while we were on vacation. We called and asked them to divert the wine to a neighbor who would sign for it. In short, we called three days in a row; three times we were told it was taking care of, but it wasn't. FEDEX left all the notes on our door, and the wine was in a hot truck for 4 days. We finally got home and the wine came after days of traveling around. Two different wine reps offered to refund the cost of this ruined, hot wine, but nothing happened. Yet they had the nerve to keep calling us to ask us to buy more. We asked to be removed from the club, and that hasn't happened yet either. So we've escalated to Google, but they haven't responded either. So, in short, they're great as long as you fit into their model, but if you need an address change or any other request, they will foul it up and then not be accountable. They have ruined our experience with them. Never again!!!!!!!!!!! !